Why Work Directly with Cypress Lakes When Selling or Buying a Home in Our 55+ Community? Are you a current Cypress Lakes homeowner who has decided the time has come to sell? Are you looking at 55+ communities in Florida and desire professional assistance navigating the sometimes intimidating home-buying process? If either one describes you, then you will be pleased to know that Team Cypress is committed to helping you experience the most rewarding transaction possible. Our Housing Consultants are highly experienced individuals who know the 55+ community of Cypress Lakes through and through. Indeed, nobody appreciates the “ins and outs” of this community better than we do! 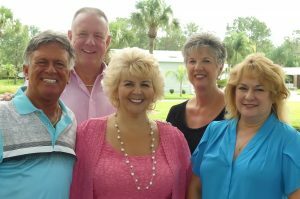 Our Sales & Information Center – located just steps from the main entry gate off U.S. 98 in Lakeland – is staffed by five full-time sales professionals, including two who call Cypress Lakes home themselves! We also have a dedicated marketing team that promotes our homes for sale to tens of thousands of prospective buyers through a diverse network of print and electronic advertising channels. Selling or buying a home isn’t something that most of us do very often. In fact, it can be a life-changing transaction involving back-and-forth negotiation, piles of paperwork, and – yes – a considerable amount of money. For this reason, it can be reassuring to know that, at Cypress Lakes, our Housing Consultants always go out of their way to achieve complete transparency through the provision of accurate and timely information regarding our current housing inventory. Facilitating home sales is entirely what we do every single day, and as such, we are highly skilled at bringing sellers and buyers together and doing whatever we can to uphold the highest standards of ethics, integrity, honesty, and customer service. But, why just take our word for it? We will be pleased to put you in touch with individuals who have recently either sold or bought a home at Cypress Lakes with our help. You can also browse through our collection of wonderful reviews from our residents … The consensus is that our team isn’t just extensively knowledgeable but also always willing to tailor its services to each client’s individual housing needs and lifestyle goals. Stop by or call us today at 1-800-888-3789 with questions regarding the possible sale or purchase of a home at Cypress Lakes. We are also available to help facilitate short-term seasonal rentals!